Why Body Pierce at Home? Many people are choosing to pierce themselves rather than pay for a professional to do it at a tattoo or piercing shop. The reasons for this are primarily economic (to save money) or personal (intimate areas that require piercing). We ALWAYS recommend you seek a professional body piercer for your piercings which is safer and surer than doing it yourself, but if you choose to pierce at home make sure you purchase a body piercing kit that includes safe and sterile tools, needles and body jewelry from a respected seller. 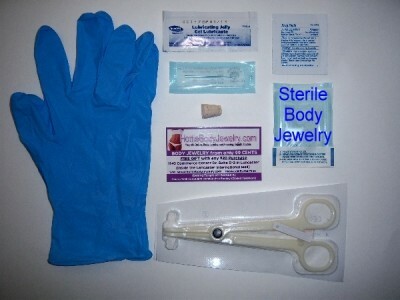 We found such a seller of body piercing kits that offers professional-grade and sterile body piercing kits for professional and home use.